Atomos has just announced ProRes RAW recording for the Nikon Z7 and Z6. What the? RAW recording over HDMI? According to Atomos, they have come up with a way of capturing the RAW video output from Nikon’s full-frame mirrorless cameras and recording that output in ProRes RAW to the Ninja V 4K HDR monitor/recorder. We will attempt to find out more at CES, but this is what we currently know. According to Atomos, the Nikon Z7 and Z6 cameras output a stream of RAW data via a 4K HDMI cable to the Ninja V. This data is then repacked into the ProRes RAW format and recorded to a removable SSD drive in the Ninja V. When shooting is finished, the drive is removed and connected to a computer via USB. Footage can then be decoded (debayered) and edited in the highest possible quality. Using ProRes RAW format keeps file sizes manageable, easy to edit and future-proof. Capturing Apple ProRes RAW video with the Ninja V unlocks complete control of the video image at the highest quality possible. The maximum dynamic range, color accuracy, and detail are preserved, while at the same time every aspect of the video image can be controlled with precision for maximum creativity. Colors can be easily matched and the extra information means footage can be easily be manipulated in post-production, which is especially useful for grading and VFX shots. I’m still not 100% sure how this is being done, but it is technically possible to output RAW over HDMI. Atomos may be using a closed loop protocol with-in HDMI. What this basically means is that they are just taking the pixels and re-arranging them. One thing is sure, this is probably only possible because Atomos is utilizing ProRes RAW. ProRes RAW makes it practical for separate companies to work together on RAW because it provides a framework that they can both use without giving away their own processing secret sauce. Technically you could still do this without ProRes RAW but you would have to open up all of the processing on both ends to the other company involved. This is something that is unlikely to happen. 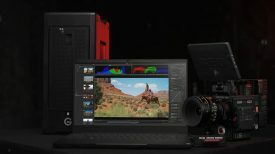 I would expect Atomos knew that this was all possible long before they ever announced ProRes RAW or the Ninja V. Given the Nikon Z6 and Z7 will be capable of outputting a RAW signal to the Atomos Ninja V, it’s not unrealistic to expect that more cameras will be capable of doing this in the not so distant future. There is a good chance that Nikon are doing this because they don’t have any digital cinema cameras to protect. 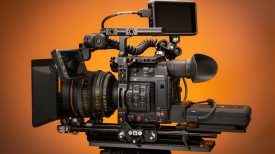 I wouldn’t expect we are likely to see either Canon or Sony enable a RAW output to be recorded from their cameras given they have other products they need to protect. Atomos will also be doing a Z6 filmmakers kit that will include a Nikon Z6 and the Ninja V monitor/recorder and other accessories including Gudsen’s MOZA Air 2 & RØDE VideoMic Pro+. 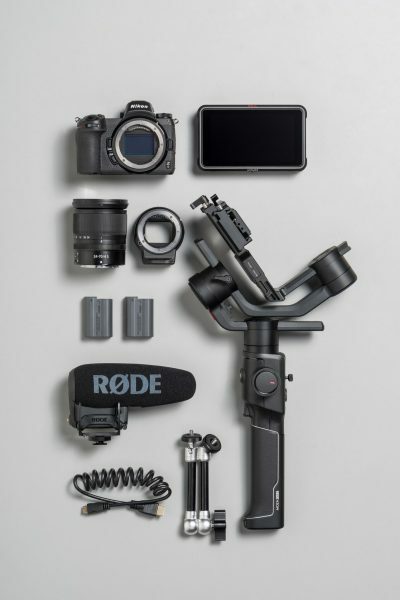 The bundle includes: a Nikon Z 6 camera, NIKKOR Z 24-70mm f/4 S lens, Mount Adapter FTZ, Atomos Ninja V 4K HDR 5” Monitor Recorder, Rode VideoMic Pro Plus, MOZA Air 2 3-Axis Hand-Held Gimbal Stabilizer, an additional EN-EL15b battery, a coiled HDMI cable, a 12-month Vimeo Pro membership and a complimentary Nikon School Online class. 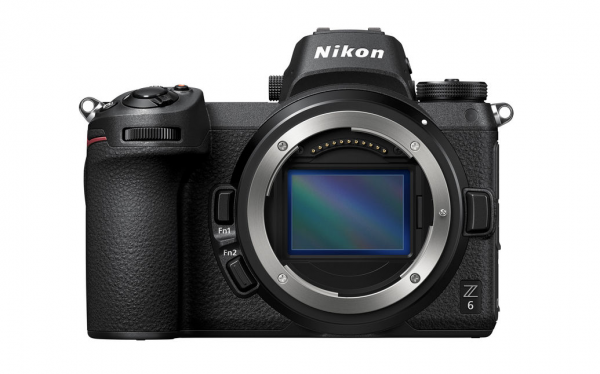 The Nikon Z 6 Filmmaker’s Kit will be available in late January 2019 for a suggested retail price of $3,999.95 USD. CFexpress – Coming soon to the Z6 and Z7 cameras is support for CFexpress, which is compatible with the XQD memory card form-factor. 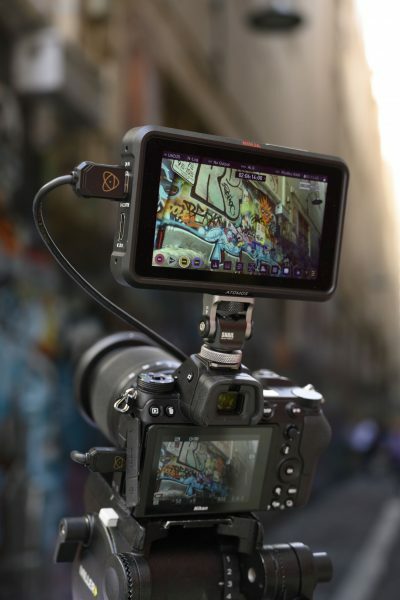 RAW Video Support – Nikon is currently developing a feature that works with the ATOMOS Ninja V to output video in RAW format, using the ProRes RAW codec. Nikon also announced a new Z mount lens, the NIKKOR Z 14-30mm f/4 S Lens. This is the first ultra-wide zoom lens for the Z Mount System and the world’s first* full-frame 14mm filter-attachable lens. This new S-Line lens is ideal for a variety of shooting scenarios including landscapes, interiors, and architecture. The 14-30mm f/4 S lens is both compact and lightweight and is claimed to deliver incredible sharpness and versatility. This new lens takes full advantage of the benefits of Nikon’s new Z Mount and demonstrates superior optical performance that maximizes the potential of high pixel-count digital cameras like the 45.7-megapixel Nikon Z 7. The NIKKOR Z 14-30mm f/4 S lens will be available in Spring 2019 for a suggested retail price of $1,299.95 USD. Atomos hasn’t released any date as to when this will be made available. 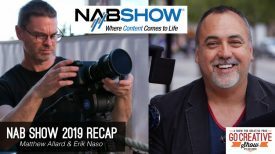 I would expect that a firmware update for the Nikon Z6 and Z7 would first have to happen first, and then Atomos can release new firmware for the Ninja V. Erik is at CES 2019 in Las Vegas and he will be talking directly to Atomos. If you have any questions for Atomos, please let us know in the comments section and we will attempt to get them answered.